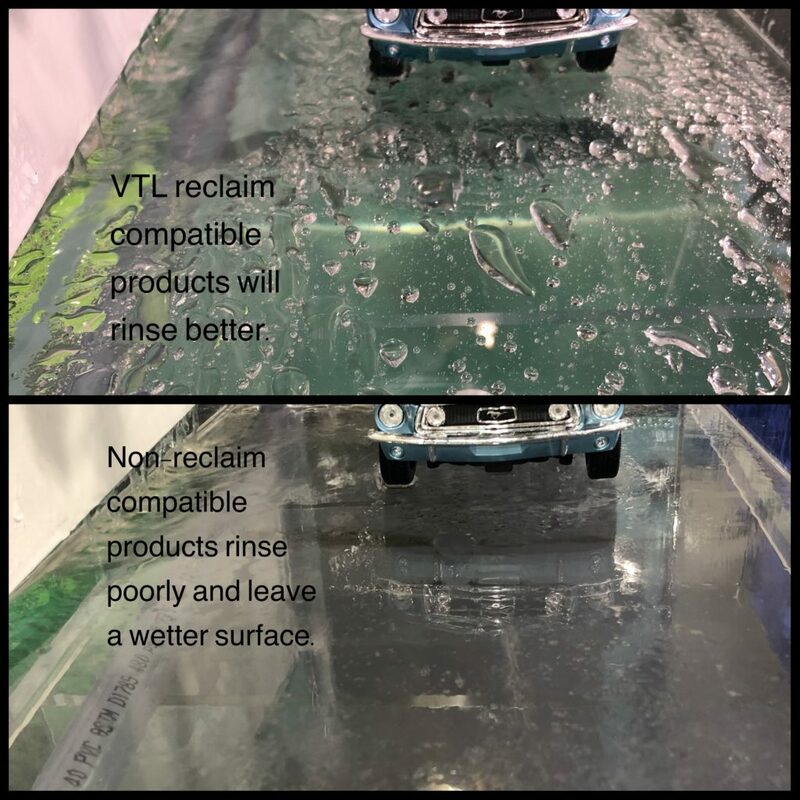 What was happening in the Ver-tech Labs booth at the recent Southwest Car Wash Association show? 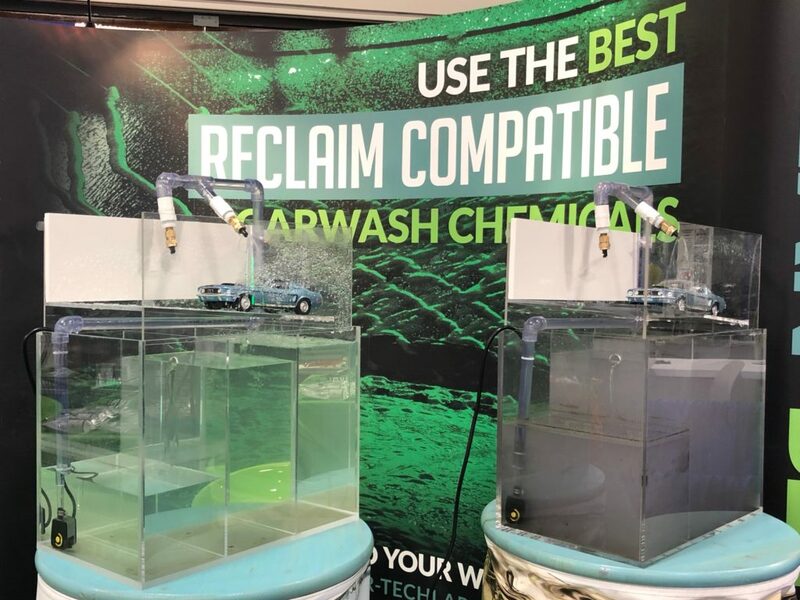 Two closed systems were set up and filled with reclaim water from local carwashes. 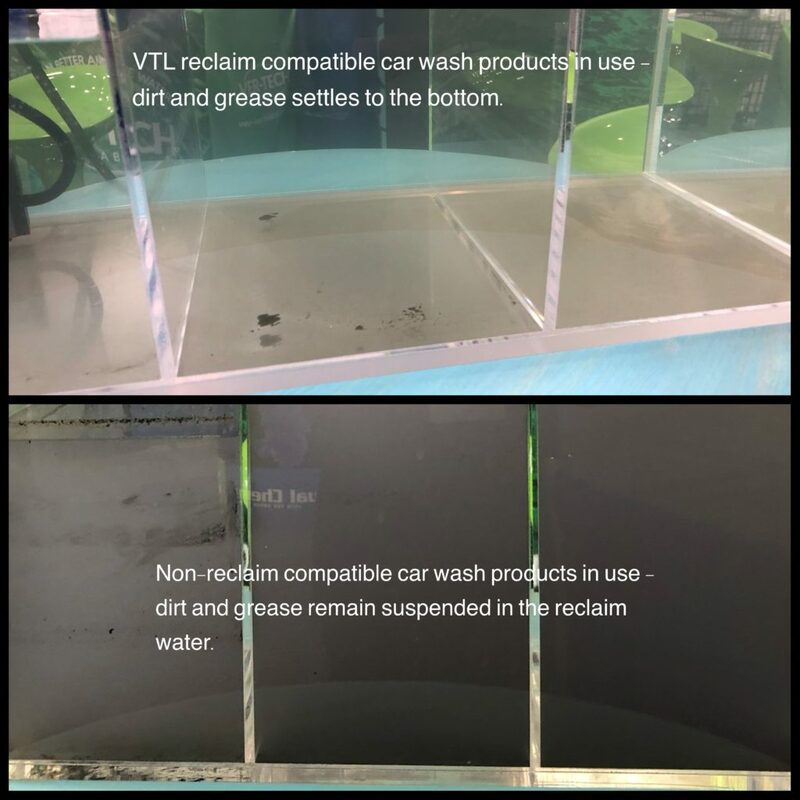 One car wash used VTL reclaim compatible car wash chemicals. The other car wash did NOT use our chemicals. 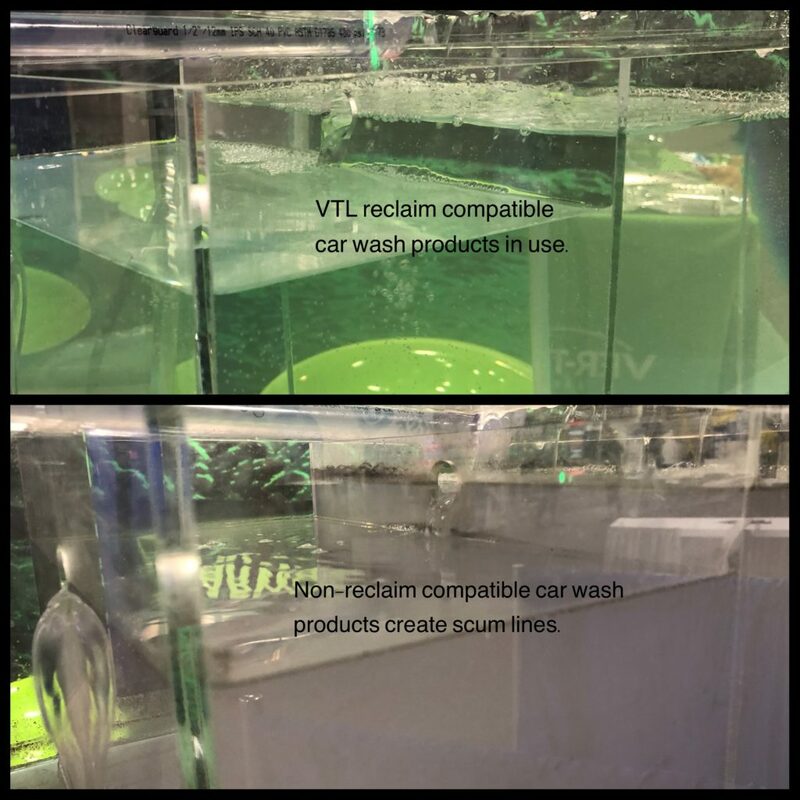 You can easily see the difference in water quality using VTL reclaim compatible chemicals. You can also smell the difference between the two systems. Look closer at the photos. 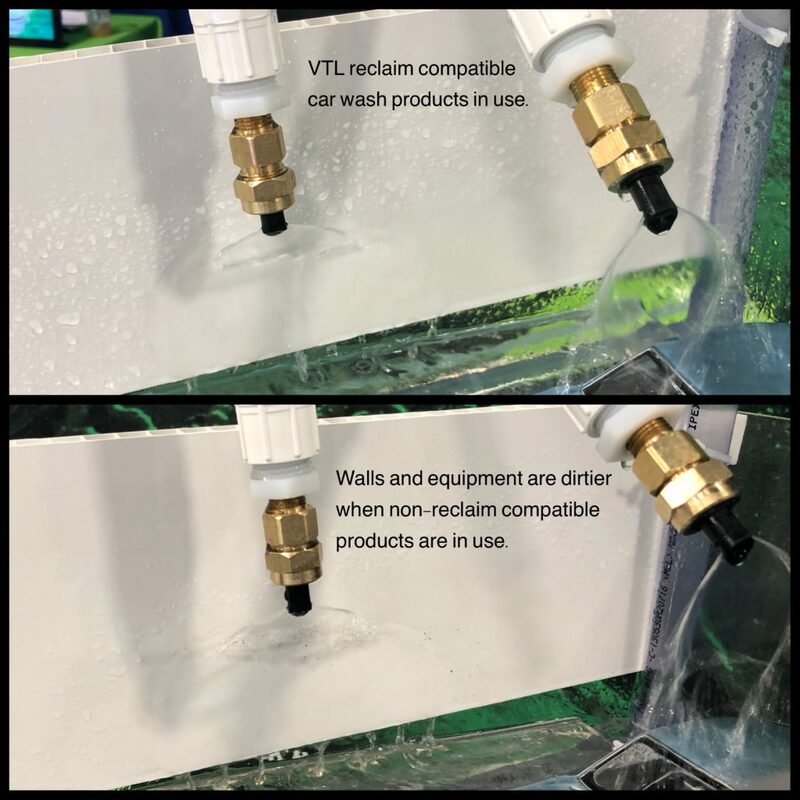 VTL reclaim compatible products will keep your car wash cleaner, keeps the reclaim water cleaner, rinses better and smells better. You can clean better with Ver-tech Labs. 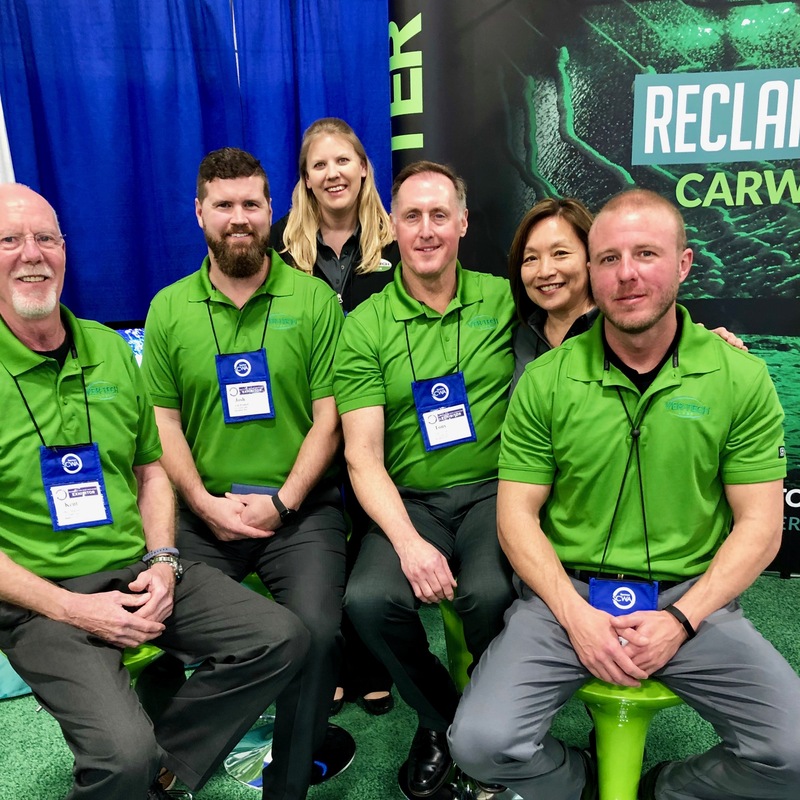 If you would like to know more – contact our SCWA team members: Tony Vertin , Jami Johnson Sloan , Kent C Nygren – and visit our Booth #2453 May 13-15, 2019 at #GoCarWashShow in Nashville.